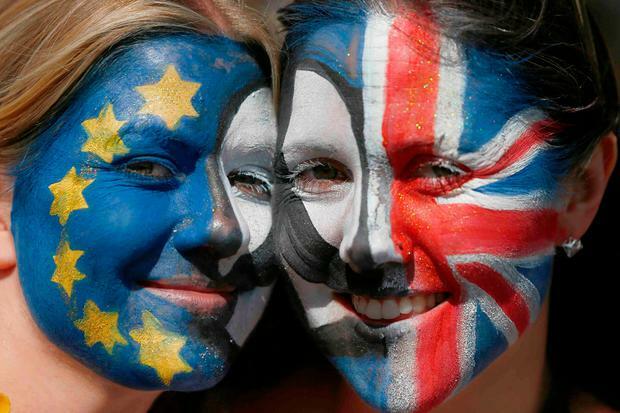 More than 100 Westminster constituencies which backed Leave in the 2016 referendum would now vote to remain in the European Union, according to new analysis of polling. The findings suggested that most seats in England, Scotland and Wales now contain a majority of voters who want to stay in the EU. Among constituencies found to have switched from Leave to Remain were arch-Brexiteer Boris Johnson’s Uxbridge and South Ruislip, Michael Gove’s Surrey Heath and the seats of pro-Brexit Labour MPs Frank Field in Birkenhead and Graham Stringer in Blackley and Broughton. The analysis, obtained by The Observer, suggested the development was driven by growing doubts about the case for Brexit among Labour voters in the north of England and Wales. Even though polls regularly report a strong lead for Remain among Labour voters, a majority of the party’s constituencies backed Brexit in 2016, leaving party strategists wary of any suggestion that it might not deliver withdrawal. The figures were produced by consumer analytics company Focaldata, drawing on two YouGov polls of a total of more than 15,000 people. They found that 112 out of the 632 seats in England, Scotland and Wales had switched from Leave to Remain since the referendum. These included 97 English seats, 14 in Wales and one in Scotland. Under the Focaldata model, 341 constituencies now have a Remain majority, up from 229 in 2016. The analysis, conducted for the Best for Britain campaign for a second referendum and the Hope Not Hate campaign against racism, puts Remain on 53 per cent support, against 47pc backing Leave. Liberal Democrat leader Sir Vince Cable, who spoke at a rally of People’s Vote supporters in Bristol on Saturday, said: “Whether someone voted to leave or stay in the EU in 2016, nearly everyone is disillusioned by the mess the Conservatives have made of Brexit. Sir Vince told the Bristol rally that opponents of Brexit must work together “as a team” across party divides in the drive for a second EU referendum. The Lib Dem leader said it was clear the “centre of gravity” on Brexit is shifting in favour of a national poll on the final deal. Sir Vince told the rally that since the 52pc-48pc victory for Leave in 2016, “the situation has changed, the facts have changed”. “We were all told the British Government was going to save vast amounts of money,” he said. “We now know that’s not the case: there’s the £40 billion divorce settlement, the economy’s slowing down, there’s less money for the NHS. “We were told it was simple – it’s actually proving unbelievably complicated. “Another thing that’s happened in the last two years is Trump. The whole premise of Britain embarking on some buccaneering free trading adventure around the world as a country independent of the EU has been completely negated by Trump’s protectionist agenda. This has made a complete and utter nonsense of it. “So our position in arguing against Brexit and for a people’s vote is now stronger than ever. He was joined by Conservative MP for Totnes Sarah Wollaston, who said: “To proceed with Brexit without a People’s Vote would be like a surgeon carrying out an amputation having sought their patient’s consent two years beforehand without either of them knowing whether they were going to lose a few toes or their whole leg. Pro-Brexit Tory MP Jacob Rees-Mogg played down the significance of polls showing a shift of opinion to Remain. “Most of the polls said people would vote to remain in the EU in 2016, but when people got to the ballot booth they voted to leave,” he told Sky News.